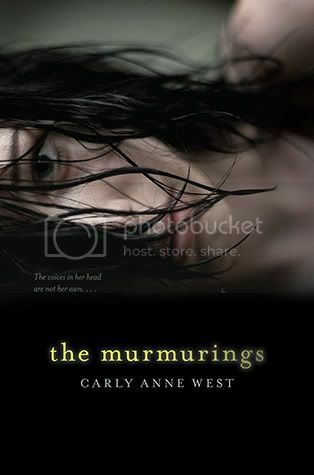 A teen girl starts hearing the same voices that drove her sister to commit suicide in this creepy, suspenseful novel.Everyone thinks Sophie’s sister, Nell, went crazy. After all, she heard strange voices that drove her to commit suicide. But Sophie doesn’t believe that Nell would take her own life, and she’s convinced that Nell’s doctor knows more than he’s letting on. Everything about this book is super creepy! The cover, the summary... I LOVE IT! I definitely can't wait to check this book out. oh yes this book is CREEPY with capital letters!!! I am hesitant on picking it up because i am a scaredy cat!! but great pick! That looks intriguing! Haven't heard of it before! Hi Christy! I agree that it sounds creepy and the cover even looks creepy! But at the same time, it's also intriguing! Thanks for posting! This sounds so creepy. Which is basically my way of saying, I WANT TO READ THIS SO BADLY! Awesome, awesome choice, Christy! Creepy books are the best... Great pick..
Wow- you are right! This is seriously creepy! Thanks for sharing this one. This really does sound like a creepy read. I recall seeing this but didn't give it much thought. Now that I have read the synopsis I am curious! This one looks so good! I pre-ordered it two weeks ago and I'm really looking forward to getting it. My WoW this week is Altered by Jennifer Rush! I discovered this last week! It looks amazing. I discovered this last week. It looks amazing. So creepy <3 I love scary books like this. Can't wait! It does sound super creepy but thanks for bringing this one to my attention Christy :) !! Great pick! I would love to read it when it comes out. Hopefully it's as interesting as it sounds to. Another book that is brand new to me. I like the blurb for it.